Fasten your seat belts! Indy 500 driver Lyn St. James provides inspirational advice for everyone as she recounts her inspiring career as a world-renowned Indy driver. 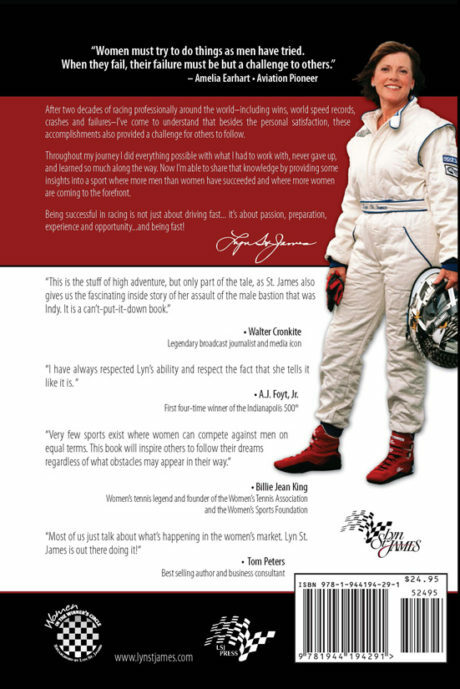 Known as the American Woman Racing Icon of the Century, Lyn is a testament to the power of determination and positive thinking. 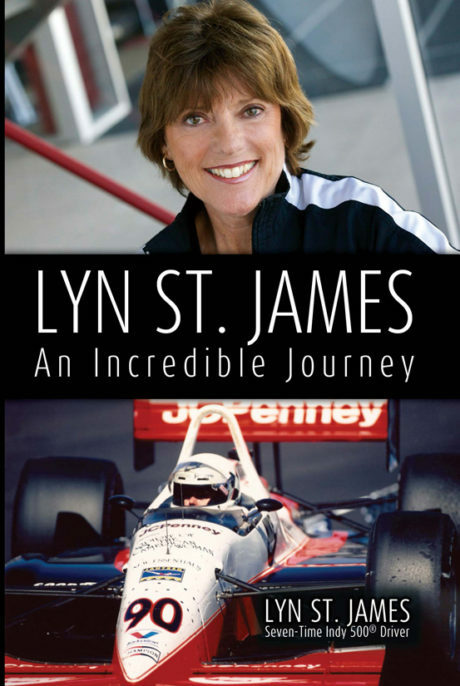 In this inspiring, motivational book, Lyn chronicles her last Indy 500 and looks back on a career filled with challenges. She recounts years of adversity and the struggle to obtain corporate sponsorships, despite being named the Indy 500 Rookie of the Year. She recalls record-breaking runs at Talladega and Daytona, terrifying crashes, and the joys of mentoring young women drivers. On every page of this story people will find the motivation and encouragement to follow their dreams and reach their goals. Please click here to read a 2015 book review by Racemaker Press. 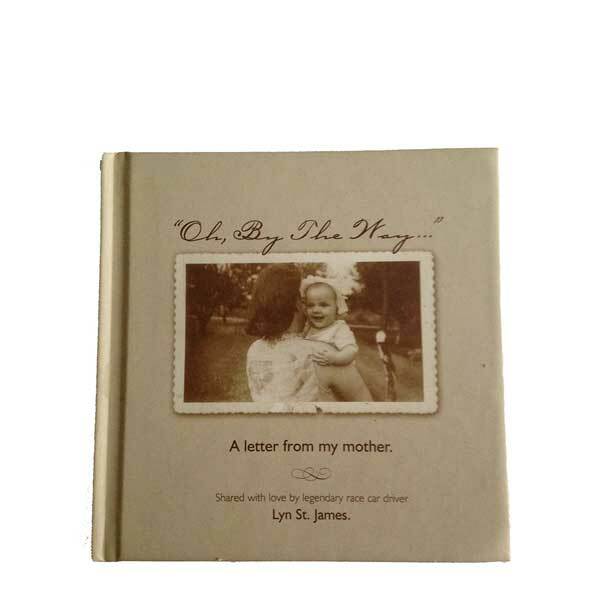 FOR AUTOGRAPHED COPIES – PLEASE INCLUDE ANY DETAILS (WHO THE BOOK IS TO BE AUTOGRAPHED TO/ANY SPECIAL REQUESTS) IN THE ‘ORDER NOTES’ SECTION OF THE CHECKOUT PROCESS.